Sage by Heston Blumenthal is a range of premium, high quality appliances, designed by one of the top chefs in the world. Their coffee machines come with a hefty price tag, but are supremely professional, superbly designed, and create customisable, aromatic and delicious coffees. Designed for the true coffee lover, who enjoys learning about the science of coffee and creating drinks with style and attention to detail. If you are after quick, cheap and easy, these are not the machines for you, but if you are a true coffee afficianado you will be in heaven with these machines. This is the crème de la crème of coffee machines, stylishly beautiful, and able to proceed from whole beans to a finished espresso in less than a minute! The integrated conical burr grinder with dose control provides the exact amount of coffee, and you have the choice of automatic or manual operation. 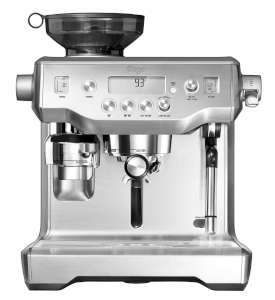 Delicious espressos or cappuccinos are a cinch with this Sage by Heston Blumenthal beauty. Featuring low pressure pre-infusion to ensure a balanced flavour, and PID temperature control to heat the water evenly. 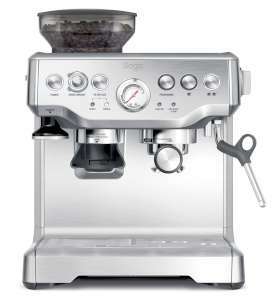 Designed for the user who enjoys complete control over every step of the espresso process. If you love the ritual and science behind coffee﻿﻿ brewing, then this machine will be your best friend. 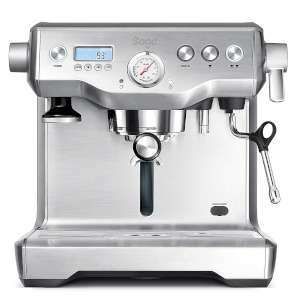 Featuring a stainless-steel espresso boiler and separate steam boiler. Features a stylish backlit digital control panel. Lightweight when compared to similar machines. Has a fully adjustable boiler temperature to suit different coffee beans. 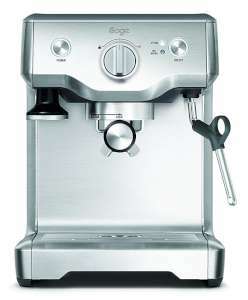 Described by Sage as “the world’s first automatic manual coffee machine”, The Oracle still gives you control over the brewing process, but has automated the more difficult components of coffee brewing. 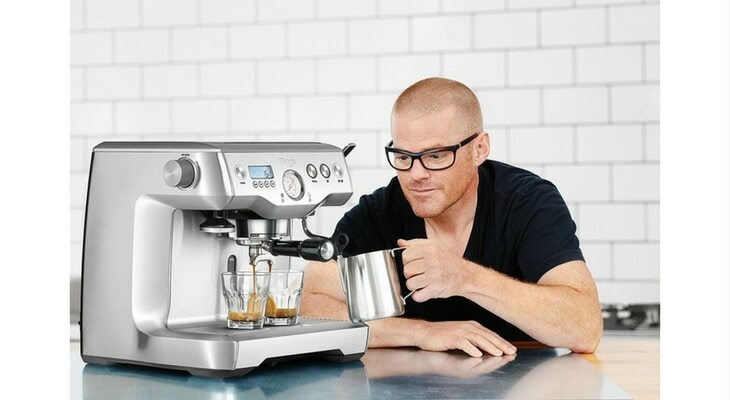 Heston Blumenthal coffee machine reviews talk about the mind boggling number of bells and whistles this machine has. If you’re looking to really splash out and get a machine that a professional barista would be happy to use in their own home, this is the perfect range. Some machines are fully automatic, still giving you high-quality coffee but without the extra fuss, and some are fully customisable throughout the whole process. Your ideal machine depends on how committed you are to the science of coffee making. The overwhelming majority of Heston Blumenthal Coffee machine reviews are glowingly positive, with users falling in love with their new Sage machine.